The society aims to promote an interest in birds in Nottinghamshire. 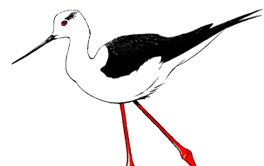 We are a friendly group for anybody interested in wild birds, living in, or visiting, Nottinghamshire, irrespective of their level of knowledge, experience or skill. The society is administered by Nottinghamshire birdwatchers for Nottinghamshire birdwatchers. The society organises local guided walks and trips to birdwatching areas further afield. Communication is by this website, Twitter and by the newsletter that is published on a monthly basis. Membership is open to everyone from experts to beginners. We are also especially keen to attract younger members to the society..
Members receive an annual report and twelve copies of the Monthly Newsletter. The society organises local guided walks and trips to birdwatching areas further afield. If you require more information please email Lynne Demaine . Membership can be paid either by cheque or bankers order. For Membership payments by cheque, download a Membership form below and post to the above address. Please enclosed a cheque for the Annual subscription made out to the Nottinghamshire Birdwatchers. New and existing members can ease the administrative load by paying by Banker's Order. Download the Bankers Order Form in Microsoft Word Format [53kb] or download the Bankers Order Form in PDF Format [72kb]. Fill in the form and send it to your bank. Chris Hughes, 95 Park Lane, Sutton Bonington, Loughborough, Leics LE12 5NO. The Annual Report is the Society's main publication. It contains a review of the year, a full systematic list, topical articles and papers and is enhanced by many excellent photographs and line drawings. The report is free to the society members as part of their annual subscription. Back issues at reduced prices may also be available. 0115 9812432 j.swindells@btinternet.com for details. The Newsletter is now only available as the enewsletter version that is received by email. The printed paper vision was phased out in mid 2017 to cuts costs, saving the society costs in printing and postage. A sample enewsletter in PDF format can be viewed below. 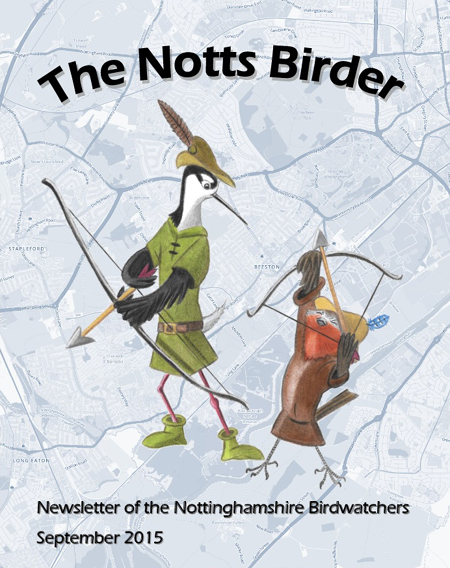 Contributions for inclusion in the Nottinghamshire Birdwatchers monthly Newsletter should be sent to Sam Viles or Mike Hill. Items such as UK/foreign trip reports and general birding topics from around Nottinghamshire are always welcome. 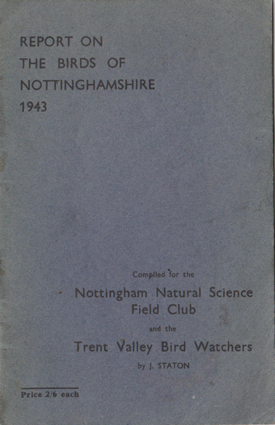 The Trent Valley Bird Watchers was formed in 1935 by amongst other people, Arthur Mason. He lived in East Bridgeford a few miles to the east of Nottingham. For quite a few years until the early 1980's, most meetings were still held at the village. In 1986 the name of the society was changed to its present one of "Nottinghamshire Birdwatchers" to reflect the membership was recording bird life in the drier north and west half of the county of Nottinghamshire. The society has been involved in several long running surveys. These have included species such as Rook, Mute Swan, Grey Herons, Canada Goose, Sand Martin and Acrocephalus warblers. Members also co-operate in the Wildfowl, CBC and WBS. It even tried to carry out a Tetrad breeding bird census for Nottinghamshire in the 1980's but the efforts petered out. Recently the trend has been to put population and breeding surveys on a back boiler, with more emphasis placed on rarity reporting. 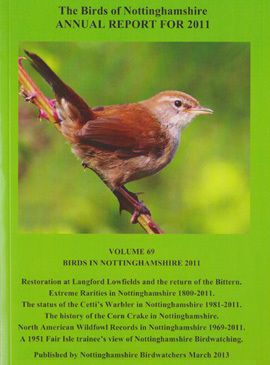 The Society has also played a major role in the drawing up of a list of Nottinghamshire's Birds of Conservation Concern. Starting with the national “Red” and “Amber” lists, it was extended to include local birds of special concern. 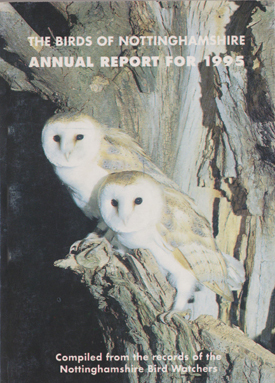 The society has published an annual report since 1958, reports had been published from 1943, but often several years were combined into one booklet. 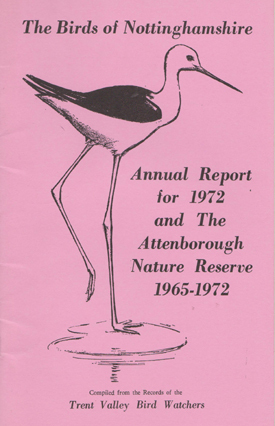 In 1980 the annual report was published following the Voous nomenclature instead of the Wetmore order it was previously in. 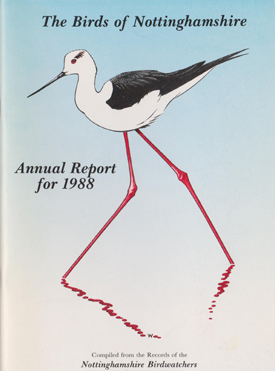 In 1993 the report used for the first time the "British Birds list of Western Palearctic Birds". Enter Tundra Swan and Hedge Accentor. 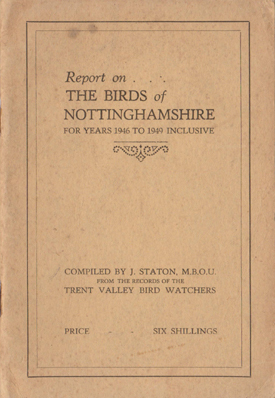 It also published its county bird book "The Birds of Nottinghamshire" edited by Austin Dobbs, in 1975. Also published was a study of breeding Honey Buzzards written by Antony Irons. Field outings have been held since at least 1950 when one of the venues was Gibraltar Point., more recent outings have been day trips to Norfolk and Yorkshire coasts and 5 day adventures to Scotland and the Shetlands.